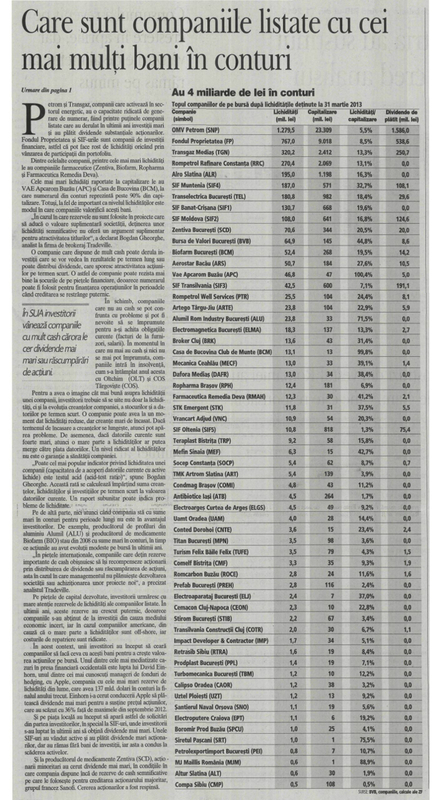 Farmaceutica REMEDIA S.A. has a high capacity to generate cash, 12.3 million lei cash and a ratio of 41.2% between liquidity and capitalization, writes Zf in 4/06/2013 edition. The dividends for 2012 reach 2.1 million lei. A company that has more cash may perform investment that will see long-term results or distribute dividends that increase the attractiveness of short-term actions. Such a company can better withstand shocks in the financial markets.